Music By Design selected once again. 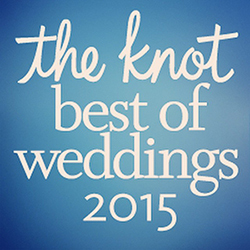 The Knot Best of Weddings 2015. Music By Design was also inducted into the Knot Hall of Fame for wedding vendors. Music By Design is also included in The Knot Hall of Fame. Comprised of winners of the annual Best of Weddings, a by-brides-for-brides guide to the top wedding vendors in 80-plus cities across the U.S., the Hall of Fame inducts wedding vendors who have won four or more Best of Weddings awards. This honorable list of 331 inductees includes less than 2 percent of wedding professionals.